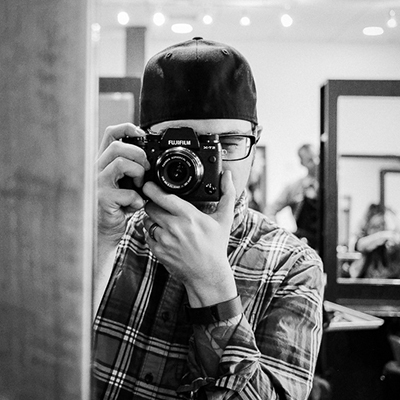 David's career began when he switched majors from graphic design to photography in college. His style of photography is unique, taking advantage of natural light, insisting on quality, and bringing out the best in his subjects. Many years of experience have given him the ability to make the best of his surroundings and create a comfortable environment while managing a shoot. David's roots began in the darkroom where he spend many days and nights listening to pop-punk bands on his disc man, eating tacos, and drinking Dr. Pepper. Although he now shoots mostly digital, David still shoots a bit of film, and loves retro video gaming. And yes, after all these years he's still drinking Dr. Pepper. David puts everything into making sure you have the best photographic experience. Click any review listed below to read even more. Send David a message and he'll get back to you ASAP!